The biggest price factor is the watch case material. You have two options: Stainless steel or Zinc alloy. The latter is only used in low-quality watches, retailing for less than $50. Watches sold for above that price are almost always made of Stainless Steel, if exclude other less common watch case materials, such as plastic and silicon. ODM = An existing watch case design, based on a ‘ready-made’ mold. OEM = A custom designed watch case, requiring the supplier to open a new mold. The movement is the essential component in a watch. Most Chinese manufacturers offer both low cost Chinese made movements, and the more common, Citizen Miyota movements. Some Watch brands prefer other movements, for example, Ronda movements. However, it tends to be quite hard to find suppliers that can provide such high-end movements, thereby forcing the buyer to arrange the movement purchase from the maker itself. That being said, most movement makers have representative offices in Hong Kong or in Mainland China. Buyers based in the European Union must also ensure compliance with RoHS (Restriction of Hazardous Substances Directive), which restricts heavy metals in electrical components. Quartz movements are electrical components, hence covered by the RoHS scope. Most brand name movements, including Citizen Miyota movements, which are RoHS compliant, thereby making it easier to ensure compliance. I am, however, not aware of the same applies to low-cost movements, from smaller manufacturers. However, customized components require additional tooling (i.e., injection molds), which are without exception paid for by the buyer. a. The supplier has an ODM mold for the product. 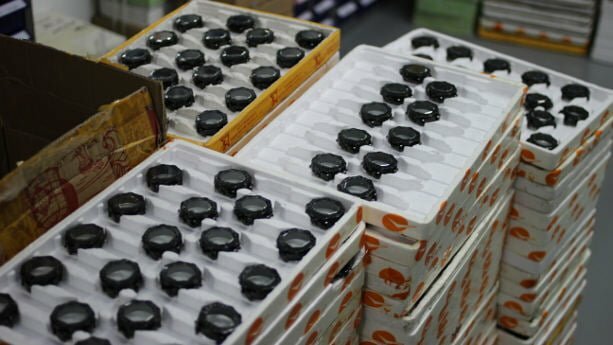 However, they cannot allow other importers to use the mold, as it’s owned by another company. In many cases, I’ve found it too complicated to work out of a watch actually exists as an ODM product, or if it’s a rendering or random image they took from Google. Given that an OEM mold is only costing around $500, it’s often not even worthwhile to spend time trying to find a suitable ODM mold. It’s actually faster to select ODM hands and indexing, rather than ordering the supplier to make it based on a custom design. Further, you can also save around $200 to $300 in tooling costs. Most suppliers don’t have proper hands and indexing catalogs. Instead, you can simply provide them with an image, and let the supplier match it the best they can. Just make sure they confirm the actual design, before making the sample. Most watch suppliers don’t manufacture straps ‘in house’, but purchase wristbands from specialized subcontractors. 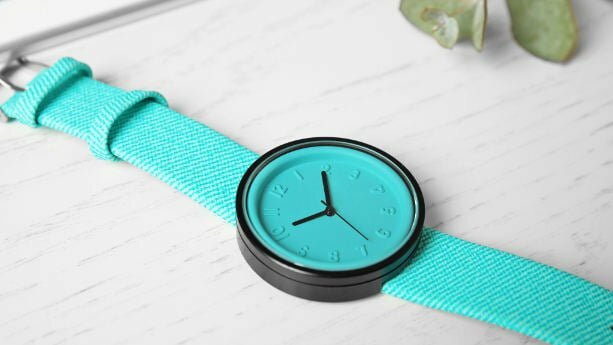 The Minimum Order Quantity (MOQ) requirement (50 to 200 pcs) for straps tend to be lower than the Watch MOQ when buying factory standard straps. However, custom designed (OEM) straps result in a higher MOQ, often set at 500 to 1000 pcs – and, a fixed tooling cost at around $400. You can avoid the tooling cost, and lower the MOQ per design and color if you select an ODM strap. Product packaging is also subcontracted to specialized packaging suppliers. Not manufactured by the Watch Supplier. ODM packaging, i.e., a standard gift box with the buyer logo, tends to be offered with a lower MOQ (500 – 1000 pcs per design) while OEM packaging requires the buyer to purchase 2000 to 3000 pcs per design. The Watch manufacturer can mostly offer a number of standard ODM designs for the buyer to select, thereby reducing the need for OEM packaging. The tooling cost for OEM watches is, in relative terms, very low. However, the tooling production time must also be factored into the cost calculation. The waiting time for new tooling can be up to 45 days, and that’s only for the first batch. When considering the, very likely, revisions, the total prototype development time can easily run up to 4 to 5 months. There’s no right or wrong when selecting materials and components. However, most Watch manufacturers consider it unwise, and rightly so, to combine a Stainless steel case with a low cost movement – or even vice versa. Zinc alloy watches rarely retail for more than $50, while a Stainless Steel watch, costing just a few dollars more, can retail for $200 to $300. Hence, a small investment in quality can vastly improve your profit margins. That being said, in the end, it’s all about the price segment your company wants to target. As in every industry, it’s critical that you provide the supplier with clear, and consistent, product specifications and files. Don’t assume that the supplier will spot errors, fill unspecified gaps or report conflicting information. Vague information on the product specification can result in misunderstandings, and thereby cause severe quality issues later in the process. Notice that the listed lead times don’t take price research, additional sample revisions, contract negotiation, lab testing, quality control and shipping into consideration. US CA Prop 65 Regulates more than 800 substances in consumer goods. Compliance is when selling in, or to consumers in, California. US CPSIA CPSIA compliance is mandatory for Children’s products sold in the United States. Hence, CPSIA applies to children’s watches. EU RoHS RoHS restricts heavy metals in electronic components and metallic parts in contact with said components. Hence, RoHS compliance is mandatory for both the watch case and the movement. REACH regulates substances in consumer goods. Compliance is mandatory in all EU states. EU EMC Directive The EMC (Electromagnetic Compatibility) Directive is applicable to all electronics products. EU EN 71 EN 71 is mandatory for toys and certain children’s products sold in the EU. Compliance testing can be carried out in China, by a third party company, such as SGS, Asiainspection or Bureau Veritas. However, I advise you to hire a quality inspector to collect batch samples, rather than letting the supplier do it for you. There’s always a risk that they send a ‘compliant sample’, in order to pass the test. A Quality Inspector can offer much more than just a batch sample collection. The only way to avoid high defect rates is by inspecting the cargo on site, prior to balance payment and shipment. You can read this article for a more comprehensive overview of Watch Trade Shows in Asia. Hi, kindly connect me with wrist watch manufacturer that produces good quality imitation of designer wrist watches. What type of wristwatches are you looking for? Hi. I am a Ghanaian lady looking to import quality wristwatches customised on the dial with African print fabric; actual fabric. Can you help me get a genuine company who can customise with actual african print fabric? I’m eager and awaiting your reply. I hope to hear from you soon. Thank You. Sure, we can help. I’ve sent you an email. I am due to be sent a my prototypes for my new watch brand and there are a few questions I really need your advice with. If you find time please email or all me and I will be delighted to send you a 1st edition watch of ours as a thank you. Hi Fredrik, I’m looking to manufacture wrist watches in a certain theme which can be discussed via e-mail. I will be starting up a new business. Export to Thailand. I’m looking to import kiddies wrist watches between ages 2-7 please can you email me the details. i would like you to link me with a wrist watch manufacturing company in china. I guess you come from sweden so i will take this in swedish. Jag är intresserad utav att designa ett fler tal egna klockor, och därefter vänder jag mig till dig och undrar om du kan hjälpa mig. I would be interested in information on wholesale suppliers of chinese watches. This is with a view to making up a range of products for an e-commerce site without investing in hundreds of each model. I need you hook me up with the same thing (with quotes pls). am also looking into dropshipping to Africa (Will need your advice on that). Hope you do not mind my picking that brain of yours. Its a foreign market. Will need your guidance. I need you to hook me up with the same thing (with quotes pls). am also looking into dropshipping to Africa (Will need your advice on that). Hope you do not mind my picking that brain of yours. Its a foreign market. Will need your guidance. I want wholese supplier in china with ready disign and packinging just want to put my logo and my name quality cheap watches. Something to last a year or two and to show correct time. Very informative article thank you very much be blessed.I am an African man who is very much keen to import watches from China for my soon to be business.I liked that concept of branding your own watches and your emphasis on quality.I intend to import watches for companies who will be having their promotions etc.I have a whole list of suppliers but i cannot separate quality from rubbish suppliers.Are you able to recommend a list if Chinese companies.Thank you. There are certainly opportunities for local consumer product brands in Africa. I’ll send you a message by email right away. Really A product is more than its name. Great Article . Thanks For the information. Nice blog! Thank you so much for providing this huge specification about this wrist watch. I really need these suggestions in order to get valuable details about importers. I will like to get a reliable and factory where I can manufacture quality wristwatches. I intend to make wrist watches with text and sound. I’ll contact you by email! I want to brand an odm automatic watch and get some text on the face. Shipped to possibly Poland or Britain. Can you help me get a quote from a reputable organisation. Very good article. I recently purchased a watch from China on eBay. Was very impressed with the quality, especially for the price I paid – which was a mere £10. I have since been very interested in setting up a small business of my own, importing similar watches and selling them online from the UK. Could you please assist me with a list of contacts/suppliers that I could contact with a view to importing a bulk order of watches ? Yes, that is part of our Starting Package which you can read about on our start page (chinaimportal.com). I’ll send you an email right away! I am interested in import of watches from China. Looking to source quality watches with some product development. Would appreciate it if you could guide me as to who to contact in China. FYI, I will be traveling there in a week so it’s possible to visit various factories. We can certainly help you out. I’ll send you an email with more information. Hello, I’ll send you an email with more information regarding supplier sourcing. Hello i’m very interested in creating my own watchbrand. Can you please give me information on manufacturers? I already have the designs and an idea of how I want it to look like. I’m currently ordering a sample for my watch company and plan on making a big 500piece order soon. My stumbling block is the importing/shipping itself. What’s the cheapest and easiest route as far as getting through US customs. Also do goods get taxed on the value I pay for them or the value I plan to sell them? I recommend sea freight, it’s probably the cheapest alternative in this case. In the US, the customs and additional taxes are calculated from the FOB value of the products. This is basically the product value plus delivery to the Port of Loading in China. However, shipping to the US is not included. Thank you for the info! My watch order is EXW and not FOB. Also with 9.8% + 1.53 per unit it seems like a lot. Is it even worth it? Or is importing watches a rip off sometimes? Thanks! Well, even if you order EXW you’ll need to pay for shipping to the Port of Loading in China, plus export clearance documents. These shall also be included in your declared value. In fact, ordering EXW is more complicated than buying FOB directly from the supplier. That way you’re less likely to run into issues with the Chinese customs. If it’s worth it or not completely depends on your potential profit margins. You’re not at a disadvantage though, all US importers of watches are paying the same import duties and taxes. I am interested in finding a supplier who can make a novelty watch with a custom face and a backwards movement of the hands. Is that possible? A custom face is possible. However, i’m not sure if it’s possible to find a supplier for a reversed movement. I assume this means that the hands are supposed to move in the opposite direction? Exactly. Could you helpe find some people so I can ask them? I would like to get contacts with watch manufacturer in order to start a business I have logo and ideas to develop. i am interested in importing wrist watches from china to india.will you help me to find the right suppliers. Great article. I am also looking to import watches with my own brand name. I am looking to get watches similar to that of “Daniel Wellington” watches. Minimalistic is the look I am aiming to create. Would you please be able to send me some manufacturers and some extra information on this topic if you have any :) Thankyou very much. You are very knowledgable and informative. Thankbyou very much for such a eonderful post, even iam plannig to imoort watches and sell in inda, could you help us with some genuine suppliers, whom we can trust and reply for good quality and with money, as we will not be visiting china, will b ordering online. Your guideance will really help us take a wise decision. I’m currently looking at the idea of making my own watch brand….I’m looking for a quality factory in China that could produce the product with good quality. My name is Rafael, I´m from Spain,and I’m very interested in creating my own watchbrand. I already have the designs and an idea of how I want it to look like with all the features. Until now I have been looking for providers in Alibaba.com (Sky Ma, Oviya, Rock Lee, and others). Please, would you tell me a good watches manufacturer in china? Kind regards and very thanks…. I’ve just replied by email! I already ordered a sample of minimalistic wrist watch and feeling of disappointed knowing the fact that I putted a lot of effort making it in the best quality and giving them very specified details. We looking forward to make the best watch in market using Chinese suppliers. The best I meant really competitive watch. In design & quality. Would You consider to give some advice for me and also if You have any recommended watch suppliers which are the best at the moment. I Am also looking for information on a manufacturer to start my own custom watch label.. all that is necessary at this point in time is a contact ! any help finding a manufacturer would be greatly appreciated. I will like to get a reliable and factory where I can manufacture quality smart watches in china, Shanghai. I intend to make wrist watches with new idea. Please connect me with a reliable source, contact and how to get started thanks. Not that many, if any, watch manufacturers in Shanghai. Most are based in Guangdong province in the south. I’ll send you an email with a few questions. It doesn’t really matter were they are located, as long as they are reliable. I mention Shanghai because all my research pointed to the city. I’m looking for manufacturer not supplier. Ok, I see. However, a supplier may refer to any company supplying goods. Thus, the definition also includes manufacturers. A wholesaler is something else though. Hi am also looking for a good company tht can manufacture watches for me. I am in South Africa. I would say a BIG thank you for this article. However, I wish to be guided on reputable/reliable Chinese wristwatch manufacturer where I could be importing from without compromising standards and without falling into wrong hands. I’m looking for reliable watch producers from China who would be able to prepare watch following the design directions. Any ideas where I could try? Pls guide me to good watch manufacturers, where i want to start my e-com online selling portal. i am very confused on how to import watches , whether we need to apply of Import -Export licence( IE Licence No) and rules to import with percentage of custom duty to be paid , as i do not want to fall in wrong hands and loose my hard earned money. Just read this article about watch manufactorer in China. I am looking for a reliable watch manufactorer and hope you can help me. I am interested in a company that can design my ideas and prodcing wristwatches in stainless steel case with leather and nylon straps. Chinese manufacturers never offer design services to new buyers, unless the buyer shows a serious commitment from start (e.g. visit their factory). You will need to provide your supplier with a complete design and product specification. Your articles, but mostly your willingness to help seem too good to be true. Thanks a lot. For a the common reasons my partner and I want to start a customisable watch brand. We’re looking for quality steel cases with domed sapphire of acrylic ones that fit a miyota 9015 for example. Also a dial manufacturer. Hi, I am looking forward to importing customized watches from China. I don’t know how flexible the options are when it comes to customization. How do I go for a quality that can last 24 month under sahara Africa wheather condition? Please I will appreciate if we could communicate privately, as I have lots of question to ask. I got precise words for one of my many needs. It goes thus, can I place order for watches whose handle/strap/bracelet will be customized to carry company logo and text (engrossed, de grossed or printed) on them? I am thinking about doing this for leather and plastic watches and hoping to get watches that can last 12 to 24 months. Thanks. Thanks alot for the great article about watches. I’d like to start my own line next year and visit the Canton Fair this year in autumn. I’m also gonna order the starter package soon. Looking forward to get more insights from you :). hey tobias, how is your watch business going so far? Hi Fredrik my name is Mirriam and i am situated in south africa. i am very eager to start my own brand of wrist watches, i already have a logo and some designs. i just cant seem to find a reliable manufacturer in china. hi..please email me information on wholesale suppliers of chinese watches. I am looking at having some watch made up (approx 15 different styles – both ladies and mens (predominantly mens)) and mainly mechanical using the chinese seagull movements if possible and have our logo printed on the dials. I would like to have approx 10 of each style (don’t want to invest in 300 of each style). Can you give me a list of suppliers that are willing to accommodate such number and make of watches. Thanks for this insightful article. I intend starting my watch brand and I will love you to please introduce me to the best companies that can manufacture great watches in China with low MOQs. I am starting my brand and I will love every insight from you. Am from India, am looking regular supplier for the cheap and best watches for my distribution network, including kids, gents and ladies wrist watches. please suggest with details . I am interested in import of watches from China, for my own personal collection. Looking to source quality watches. Thanks for your best article. I am looking for a reliable watch manufacturer and brand. Can you help me? How would i go about getting custom made watches in China, I have a target market that i would like to supply. Is there an email i could reach you on? I kindly wonders if there are any Chinese factories for watch glasses, dials and watch hands that have good working conditions for their employes. Thank you for the article. I would like to start my watch brand. Could you please connect me with the reliable watch manufacturer companies. I am planning to start a watch company here in germany. And I need you to connect me with a watch manufacturer. So if you can help me out, please contact me. I am searching for a stainless steel manufacturer who is doing custom manufacturing for other products than watches. The CAD drawing is already in place but it’s hard to find a good manufacturer without in depth insight into the market. We will get back to you by email! We are interested in ordering watches with a few costum options. Can you possibly to send me an e-mail for further discussions? I am interested in wrist watches importation. Kindly advise on the trusted and reliable suppliers in Guangzhou. Also I plan on visiting in january. Any info before then will be highly appreciated. thanks for this highly interesting article! I’m comparing suppliers for 2 months now and it’s really hard to make a final choice. Going to the Hong Kong Fair in last month did help a lot but I still have this strange feeling about the whole story… Do you have a recommendation for a reliable and sincere supplier for watch casing? Hi Fredrik! I’am looking forward to start my own watch brand. Could you please help me with some questions. Hello, Is it possible to import sealed wrist watch machines to Srilanka? Pls reply in details. Dear Fredrik, what a great information. I’m seller of jewelry in Brazil and we’ll start on watch Market now, so we’re looking for watch seller in China which produce small quantity (100 pieces) with our logo and it’s so hard to find. Can you help me in some way, suggesting suppliers who could do it for me? Great read. I am looking to design an OEM chronograph. Any advice to who I can reach out to for putting together a design and then any advice on which factories in China are best to work with? We are watch designers here in the states looking for a reputable manufacturer in Hong Kong. We have been in contact with a few already and have some price quotes and lead times all of which seem to be MUCH higher and longer then anticipated. We have our designs, preferred movements and cad files ready and just need help with sourcing. If you could contact us directly that would be very much appreciated thank you. Could you email me a company that can do the above named? I have an idea for a custom watch! I need your advice! We’re looking for Miyota movement supplier in China. But we still not find out which suppliers is qualified and trusted. Could you pls help me this issue? I am looking for a good watch manufacturer who can use Japanese Miyota and/or Swiss movements in the watch with certification. The design is OEM and is a bit technical, but I’d like to see if I can pursue some fancy material such as Titanium to build the watch. Can you please connect with me so I can discuss the design and you can help me hook up with a good watch manufacturer? I’m looking to identify a reputable watch manufacturer who can build an ODM Automatic watch using either a Miyota or ETA movement. Would you be able to provide me with some information? Hi, Thank you for the article. Im really interested in starting a small watch company like Daniel Wellington. Could you please recommend me some really reliable and good chinese supplier that I can trust? thank you very much! My name is Mahiar and i am from Sweden. Is this something you can help us with ? We’re based in Sweden and we are looking to have a ODM watch manufactured (custom watchface ). We previously looked in Switzerland, but were not happy with the pricing offered. Thank you for your great articles on this website. We, as many others, are so thankful for the valuable information you provide us. My team and I are thinking to start our own watch brand with several models. We have the business concept already and we’re in the design process now. We would like to have contact with you for further information about manufacturers. We have found some but would like your expertise in that matter. Please contact us by email, we speak English and Swedish. Would you mind to intro some of the good quality and reliable watch manufacturers in China (mainly in Shenzhen) to me? Thinking to start from small first, probably ODM and put in my own brand logo. We are very much interested in exploring the possibility of get good chinese OEMs and ODM for development of watches and electronic gear focused to sell in the Middle East Market. Would request you support in helping us in finding the right people. i am interested in starting a small wristwatch company in nigeria, could you please recommend me a very good chinese manufacturer that is reliable and one that i can trust. Looking forward to your reply. Thanks. Me and my friend have started a watch company and have already ordered 2 samples. But we are a little bit insecure if the company we are coroporating with are a legit company or just someone that wants to trick us. Would be much appreciated if you took contact with us on the email i used here. Thank you for such insightful sharing. i am new to the business, i am looking for reliable and good ODM and OEM companies in china and HK so that i can sent the design to ODM company for availability and quotation. And in future will try OEM,thanks. Request to link me up,please. I am after a contact for a known watch supplier from china to supply to Australia. Hello, I am in need of a reliable supplier in in 1688.com…..
Why do you source suppliers in 1688.com? Thanks a lot and keep up the good work!! These specifications look quite standard. There are many suppliers in Shenzhen that can make a product according to those specs. I’ve been in touch with different suppliers from China for a while now. Unfortunately most of them fail at early stage since they can not meet European standards or proof their quality. Is there any chance you could liaise my team with reliable, experienced suppliers? We will get in touch with you. However, it’s true that the majority of the suppliers cannot ensure compliance with EU and US standards. We have experience with non-compliance issues relating to both the watch case (excessive amount of heavy metals) and straps (DEHP and other pthatalates). While we knew of such risks, we actually underestimated how severe the compliance issue is. I am a Business student creating a marketing plan on developing a new watch brand (luxury watches) and came across your article. I was wondering if it is possible for you to give me a rough estimate of how many units a starting out business would order from a supplier including the cost in order to help me complete my assignment please? Your help would be greatly appreciated! I’m trying to start up a small wrist watch company. I’ve designed a plan on how they’re going to look, have wrist straps ready to be ordered, however I’m struggling to find a reliable manufacture in China for shipping quartz movement, Stainless Steel 316L (multiple colours), with a Diameter of 55mm, with branding availability on the base, similar to that of Andreas. Could you please help with me some manufacturers that will be able to assist me in my time of need. Sounds strange. What kind of issues did you face? The specs you mentioned are very ordinary. Great article and very useful website! I am about to order my samples for a new watch brand. I have spoken to a couple of suppliers but am curious if you have heard of these. I will not mention them on this forum out of privacy reasons but would be great if you could get back to me per email. Can you please advise me as to which suppliers would be most suitable for my needs. I am looking for a simple face, probably zinc alloy, face diameter of 40mm, strap is not important. Look forward to hearing from you. First of all, this is just exactly what I needed to keep me on track with my next venture. Second, I’m glad that not only the article is recent, but the comments and replies are too. Give me much more confidence. I’m planning to start my own line of watches not only for business but also for charity. So I’m scouting out for watch suppliers online as there are none in my immediate locale. Do you think you could shoot me an email so we could talk in further details? Sure. You should have been contacted by now. If not, you can email us directly on info@chinaimportal.com. someone in the Shanghai area would be to prefer but whatever you can help me with, thank you !! We’ve already contacted you by email. Did you receive our reply? This is a great read, Thank you for this. I am looking for a supplier for 400 watches 100 of each face which is different. Do you have a list of supplier available? Yes, we do have supplier lists. We will contact you for more information. I worry about the time/ quality of what is being imported. I mean if you want to do it properly you need to have a presence out there or waste additional time getting samples. I worry that too many people are compromising on quality for price. I personally wouldn’t touch a watch if i didn’t recognize/trust the brand. But really good article explaining the logistics of the situation. I’m currently looking at the idea of making my own watch brand…. I have some designed I’ve made and I’m looking for a quality factory in China that could produce the product with good quality. We are looking for high quality watches to be distributed via our e-commerce and stationary stores in USA and European Union. We’d like the watches to be brandable – possibility of the custom logo placement. Are there any manufactures supplying also a dropshipping functionalities? Please contact us if it’s possible. I have some questions about producing a mostly ODM watches with custom dials. Can you please help me? I am interested in creating my own brand of watches .kindly email me with more information regarding supplier sourcing. Hello im looking for a manufacter for producing my watches, can you put me in contact with some factory? I am looking for a suitable manufacturer from China or HongKong, who can help me manufacture Daniel Wellington like slim and elegant watches with top notch quality and more premium materials. Can you refer some names and help me out with the same? I look forward to hearing from you on the same ASAP. We emailed you last week, hope you received it. We can help you with this. Great article. Can you please get in touch as I have difficulties finding the right manufacturer for my watches. Inspired by your article, I’m considering to visit the Canton fair this October. I’ve got designs, and specs laid out. Could you share with me your favourite or recommended watch manufacturer? This article has been very helpful for people to start entrepreneurship! Thanks for the helpful information. I happen to find this blog while searching up the Internet with the idea of creating a watch brand to sell locally in my home country. I’m a student currently and I have a group of partners ready to start a wrist watch entrepreneur journey. Is it possible to connect us with trustworthy (quality) watch manufacturers from China? We have searched up a few companies but we aren’t sure of which manufacturers we can trust. We are aiming to have at least the quality similar to DW, but with our own design. We would also like more information on the ways and operations of providing warranty services for our customers in the near future. Do hope that we can an email from you soon! Many thanks! Good day! I’m looking for wristwatch manufacturer in Guangzhou and ShenZhen. Appreciate you can send your recommendation. Hello, great read! Thank you for the info! Would you be able to give me a few recos for someone looking to import quality watches with my custom designs? I want to build my own watch brand. I have some design in my head. But I have no stock-in-trade for MOQ and Production RUn, so i have to find Angel Investor. I’m looking for economical wristwatch and watch mechanism manufacturer in China or Hong Kong. Appreciate you can send your recommendation. create my own brand. Have some designs and ideas, now looking for some developpers en fabrics who can build my design. Do you have a few contacts who i can contact? Looking to start my own wristwatch line soon. But i am still hesitant on the company to use. First of all, great article. I thought it was great! I’m looking for some suppliers of ODM & OEM watches. I have an exact desgin I would like with my own logo added to the watch face and genuine leather wristband. I have some exact specifications I would like as well. I’m from Australia so they need to be able to post to Australia. Very very useful blog & article, thank you! I was quoted $30,000 for my watch molds, your tooling costs seem to be much better! The prices in this article are not based on molds for a Smartwatch, but for a typical quartz watch. $30 k sounds like a lot for a small mold, but perhaps there are many different parts covered in that price, all with relatively narrow tolerances. However, you should always get quote from more than one supplier. I need a trustworthy contact who will assist in some decisions regarding suppliers from china. Is this something you would be able to help with ? We contacted you by email last week. Hope you received it. Can you please share me information of suppliers of chinese watches. Intention is to start an online good quality watches business. 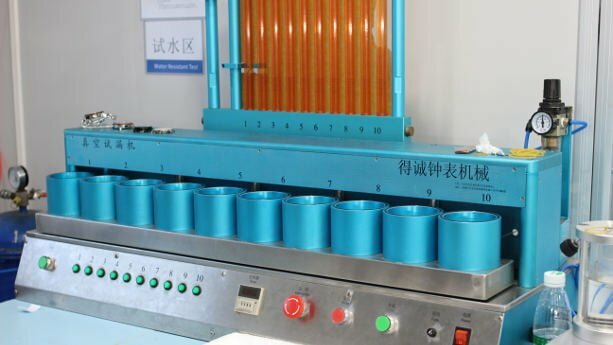 I have been working with a manufacturer in Shenzhen and I have encountered many issues with them meeting timelines etc. I am considering changing manufacturers and also considering ordering my own movements as I believe it might be cheaper and some companies complain of having difficulties obtaining higher end movements. Can you provide a list of manufacturers that are reputable and capable of producing custom designed watches as well as resources where I can purchase movements directly? We have contacted you by email with more information. Would be very thankful if you could share some informations about high quality watch suppliers from china. I would like import watches from China and I’m looking for reputable manufacturers, do you have a list of them ? Hi. Thanks for the article. Could you provide me with the manufacturer list? I have since been very interested in setting up a small business of my own, importing watches and selling them online . I want to purchase watch to resell not interested in a brand yet just want to get customers first. where can i get quality watch.